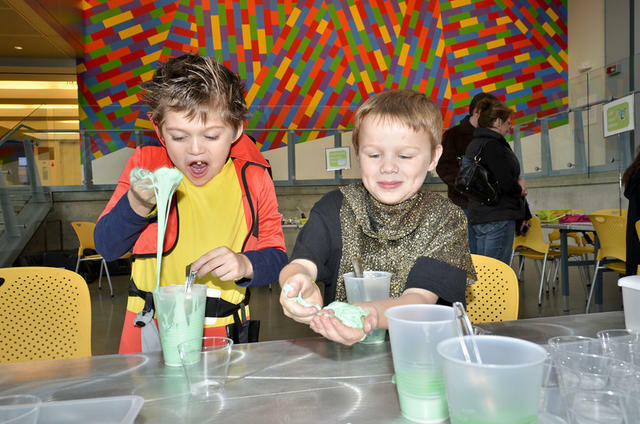 Explore, discover and create with Akron Art Museum Kids Art Classes! See amazing art in the galleries and create your own masterpiece with unique materials and techniques. Classes are designed for children ages 6 to 12 years old. Adults are welcome but not required to attend with children. Cost for each class is $10 for each member child, $15 for each non-member child. Pre-registration is required and space is limited. It’s cold outside, so layer up! View Winter Evening by Raphael Gleitsman and The Eviction by Ray Grathwol in the galleries to find some snowy scene inspiration. Then make your own frozen -in- time landscape (or cityscape) screen print using layers of color and paint. It is time to take your art-making to the third dimension! Find inspiration in the galleries while viewing the newly installed sculpture Seer (Alice I) by artist Kiki Smith. Then create your own sculpture with magically messy (and fast-drying !) plaster casting cloth. Have a blast taking big ideas and turning them into tiny but mighty works of art! Explore the imaginative, over-sized story world dreamed up by Trenton Doyle Hancock and the incredible miniature scenes captured in glass by Paul Stankard. Then tell your own story by creating a playful, small scale diorama from all sorts of mixed-up materials. You may collect baseball cards, trade Pokémon cards or throw down some mean Dungeons and Dragons playing cards but have you ever heard of artist’s trading cards? Create your own personalized art trading cards as you learn three unique art making techniques. Experiment with collage, try your hand at printmaking and embrace the art of watercolor as you create funky calling cards you can trade. This entry was posted in akron, Art News, arts, galleries, museums, ohio and tagged akron, akron art museum, art news, baseball cards, children, classes, gallery, live, mini worlds, ohio, paint, workshop, workshops. Bookmark the permalink.